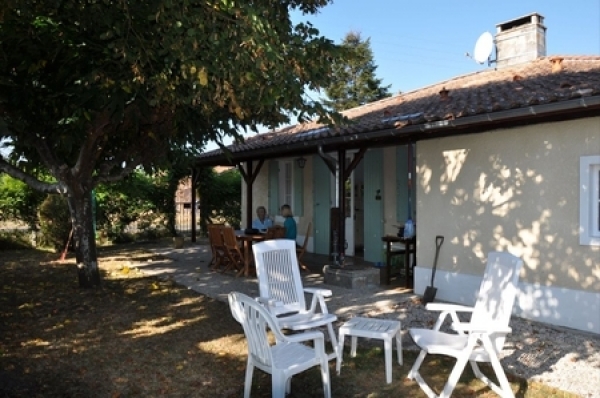 Search Rent-in-France for self catering French holiday rental gites & villas in the Bouches du Rhone, France – Book direct with the owner. Bouches du Rhone is a department situated in the south of France which is named after the mouth of the Rhone River. Made up from parts of the former province of Provence and the principalities of Martigues, Lambesc and Orange, much of the territory was lost back in 1793 which included Orange when the department of Vaucluse was created. Today the Bouches du Rhone department is part of the current region of Provence-Alpes-Cote d’Azur. It is surrounded by its neighbouring departments of Gard, Vaucluse, Var and the beautiful Mediterranean Sea to the south. Some say that the department is very diverse due to the various holidays that can be had in Bouches du Rhone. You have the towering mountains in the north to the plains of Carmargue, the lively town of Marseille to the quiet long stretches of sandy beaches along the Mediterranean coast. Renting a Bouches du Rhone holiday home really does offer the holiday that will suit everybody. Bouches du Rhone is a fantastic place to enjoy walking and admire the wonderful scenery and wildlife. 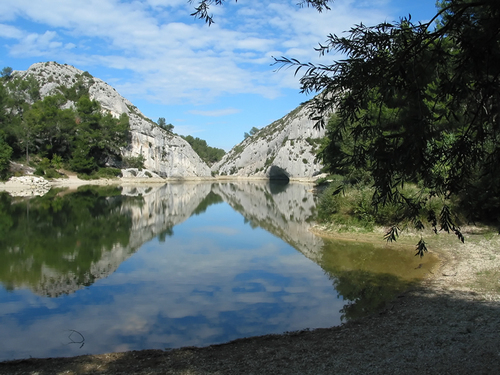 There is approximately around 160km of hiking trails along the Calanques coastline, a wonderful selection of wild creeks and rocky escarpments that stretches from Marseille and Cassis. Take a trip during your holiday rental in Bouches du Rhone to the sharp peaks of the Alpilles which has some dramatic but picturesque landscapes filled with hill top villages, wonderful valleys and a variety of terrain - the perfect destination to enjoy the sunny countryside the department has to offer. The magnificent sandy beaches of the Mediterranean coast provide excellent swimming and sunbathing facilities and are more than enough of an excuse to take self catering holiday gites in Bouches du Rhone. The Bouches du Rhone department isn’t just for those looking for a relaxing getaway, but also ideal for those looking for a more active holiday and taking part in the numerous activities available including cycling, horse riding, tennis, golf and hiking. Its variety of terrain, wondferful sights and fantastic scenery mean that outdoor activities are a must during your stay in the area. Mallemort-en-Provence - This wonderful city has some long and intriguing history although its origin is uncertain. There are a number of conflicting accounts of architecture and points of interest across the town. A Rent-in-France self catering Bouches du Rhone holiday rental can offer you the perfect place to explore and enjoy a relaxing holiday. Arles - This beautiful Roman city is a massive attraction for the art lovers out there due to the large number of galleries and festivals the city has to offer. Many famous artists have strong links to the city; these include Picasso, Van Gough, and Gaugin. Picasso in particular is believed to have taken a vast amount of inspiration from the city during many visits over the years. Home to a Roman arena which still hosts ferias and bull runs, these have occurred in the arena for many years. Aix en Provence - Some say that the best restaurants in Bouches du Rhone are found in Aix en Provence. This beautiful city is situated on hot springs, built by the Romans there is a very strong Provincial flavor to the area. When on holiday in Bouche du Rhone, be sure to visit the lively weekly markets which are a great way to meet the local people and discover some of the fantastic local craftsmanship. There is also a number of great stalls where you can try some of the local delicacies. Saint Remy de Provence - With a huge number of sights and monuments to be enjoyed in the town, Saint Remy de Provence definitely prides itself on its culture and history. Time seems to have stood still here for many years which make Saint Remy de Provence a beautiful place to stay in a self catering holiday gite. Marseille - The wonderful cosmopolitan city of Marseille is the second largest city in France behind Paris. A city that will offer you some fantastic restaurants, bars, and cafes which can be found among the large number of chic boutiques and other shopping facilities. Marseille is also the home to many artists and writers, and the city is blessed with a rich cultural and gastronomic heritage. The Bouches du Rhone offers you mild climate. Its hot summer months can see the temperatures reach an impressive 30ºC particularly July and August. Many self catering holiday rentals in Bouche du Rhone come with pools so enjoying the splendid summer is never a problem. The winter months remain mild without the harsh winters that other parts of France may experience. Getting to Bouches du Rhone is relatively easy and depends a lot on whereabouts in the department you are staying. The main airports in the department are Avignon(AVN), Marseille (MRS) and Nimes(FNI), these offer you the easiest access to your holiday home in Bouches du Rhone. Many British airports offer cheap flights to these destinations and the internet is a great place to you’re your ideal flights.